Joint Base San Antonio earned a rebate for $348,988 from CPS Energy by completing a massive energy efficiency lighting retrofit to one of its facilities at Fort Sam Houston. 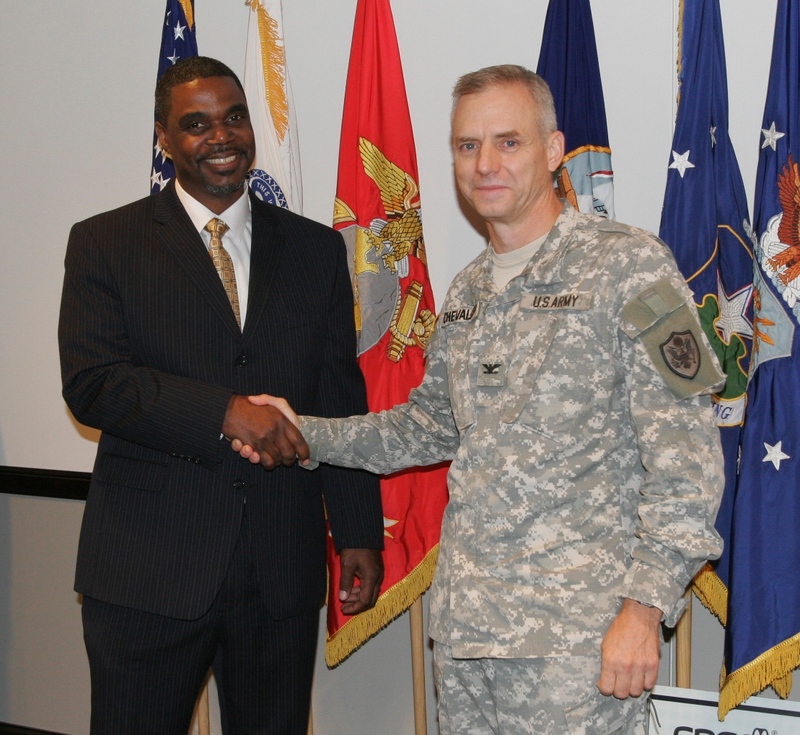 Garrick Williams of CPS Energy congratulates Col. James Chevallier of JBSA for its committment to saving energy. The project included swapping out inefficient fixtures from San Antonio Military Medical Center’s six-level parking garage with a mix of energy efficient lighting. “We collaborated with JBSA to find the right lighting that would provide the best value in terms of energy savings and lower maintenance costs,” said Garrick Williams, director of JBSA Energy Solutions for CPS Energy. CPS Energy contracted with Facility Solutions Group for the four month, $581,647 construction project. The group removed 2,599 inefficient lights and replaced them with 2,365 LEDs, compact fluorescent fixtures. They also installed motion sensors for added energy savings. With the new lights in place, the medical center has reduced its lighting consumption by more than two million kilowatt hours. That means JBSA can expect to see an annual savings of $196,896 in lighting costs — and to top it off, the base qualified for the CPS Energy rebate. JBSA doesn’t plan to stop here, as three new energy saving improvement projects are set for the future. You can say the future of energy savings is looking pretty bright for the base.